Life is full of contrasts: night and day, male and female, heads and tails. But contrasts aren’t necessarily opposed. Night and day are parts of the same natural cycle. Male and female are equally created in the image of God. Every coin has two sides. Wisdom literature commonly points out such paradoxes. Should a fool be answered according to his own folly (Prov 26:4–5)? The answer is not a simple yes or no, but something more complex. Wisdom consists, in part, of knowing how to sort out the truth. Philippians is sometimes called the “Epistle of Joy,” despite Paul being on death row, awaiting his final appeal. By the usual standards, Paul’s joy would seem illogical—delusional, even. But from the perspective of advancing the gospel, his imprisonment is not an impediment, but a great opportunity that affords him access to parts of the Roman Empire that he could never reach otherwise. Spreading the gospel in this way gives Paul deep satisfaction, even if it ends with his own death (2:17). Some people preach Christ from good motives, and some preach from “envy and rivalry” and “selfish ambition.” In Philippians 1:18, Paul says the Greek equivalent of “so what?” The preachers’ motives hardly matter, because the gospel can advance through any intentions, good or bad. Even the ultimate distinction of life and death is irrelevant from Paul’s Jesus-centered perspective. Dead or alive, he will be with Christ. His true concern is how much he can directly benefit the Philippians. God and people are categorically different, but in Christ these two natures are united. In this theologically dense passage, Paul demonstrates that the opposition he observes in his own life and in the lives of the Philippians are reflections of Jesus’ nature. Jesus is both king and servant, exalted and humiliated, God and man. These opposites are not in conflict but are fully integrated within the person of Jesus. It doesn’t matter whether Paul is with the Philippians or in prison—his instructions endure and should continue to be obeyed. Paul doesn’t have much in the way of worldly goods. It’s interesting that what Paul counts as “loss” in this passage isn’t just his possessions or status, but also his prior acts of religious piety. Whether his past is spiritually rich or poor, Paul isn’t keeping track. Instead, he keeps running forward “to make [the resurrection from the dead] my own, because Christ Jesus has made me his own” (3:12). His ambition—as expressed in his prayer for his audience—is that “love may abound more and more” (1:9). We don’t know what conflict separated Euodia and Syntyche, but Paul didn’t think it necessary to declare a winner. Instead, he reminds these two women that it’s not about taking sides. The important thing is that they have been working “side by side” for the gospel. With their perspective properly reoriented around advancing the gospel (and not their own interests, see 2:4), the disagreement, whatever it is, should dwindle to nothing. The verse “I can do all things” emblazons coffee mugs and T-shirts. Yet it isn’t about achieving personal ambitions. Paul sees no difference in his ability to spread the gospel whether he is being abused or blessed. His ability depends not on his own strength but on God’s. In light of the cross, the gospel, and the person of Christ, what do these distinctions matter? There is only one that does: whether a person is in Christ (1:27–30). Paul warns his audience to be on guard against all who “walk as enemies of the cross of Christ” (3:18). Such people err by seeing unity where it does not exist, or by failing to properly distinguish glory from shame or earthly things from heavenly things (3:18–20). Paul has given up everything to proclaim that Christ’s atonement can erase even the terrible difference between “those evildoers” and “God’s holy people” (3:2; 1:1). As the gospel advances, the enemies of Christ are converted into family, one by precious one—and that is cause for great rejoicing, no matter what. In the beginning, God subdues the greatest symbol of chaos in the ancient world: the waters. He also creates light—something that the ancients thought ruled everything. Even darkness, which they deeply feared, is now ruled by Him. Matthew 1–2 gives us another beginning—a child born in humble circumstances. But it’s through this child, Jesus, that the world itself was first created. And that’s not all: in Him and through Him everything is brought together. Chaos is made orderly: “Because all things in the heavens and on earth were created by him … and he himself is before all things, and in him all things are held together” (Col 1:16–17). If we want to truly understand our origins, we need this frame of reference. Like the ancients, we too are in the middle. We worry that evil and chaos will reign, but we must let Christ take control. He can bring order to our unruly lives. We need a new beginning. In Genesis, God wants us to see Him taking back what He created—and that includes us. What chaos do you fear? We often feel in the middle, but our beginnings suggest that Christ is holding everything together. What areas of your life need God’s order? Where do you need Christ to step in and hold together? The Story of God Bible Commentary series presents the unchanging biblical text to an ever-changing modern culture. In keeping with this commitment, the authors approach each passage in three ways. In “Listen to the Story,” the commentary authors present important parallel passages and place the passage itself within the context of the entire book and the wider story of the Bible. “Explain the Story” offers an in-depth explanation of the passage through word studies, an overview of pertinent cultural and historical contexts, and by addressing major theological interpretations of the past and present. Finally, in “Live the Story,” authors push readers toward applying the passage—as it fits within the entire story of God—to their lives. For most of my childhood, I didn’t know I was weird. I grew up homeschooled, and most of my friends came from conservative Christian households similar to my own. When I finally figured it out, I embarked on a series of attempts to fit in. Often that meant repeating jokes I didn’t understand, quoting movies other people liked, or pretending to be familiar with music I didn’t listen to. I became an expert on a topic overnight in an effort to create a niche for myself. My contributions to conversation always began with things like, “That’s nothing. One time, I …” And while there was nothing inherently wrong with my desire to have friends and fit in, my attempts at belonging became unhealthy when my goal changed from finding human connection to establishing my own importance. Mom’s advice to look outside my own self-interest was a practical application of Paul’s instructions for the Philippian church: Do nothing from selfish ambition or conceit, but in humility count others more significant than yourselves. Let each of you look not only to his own interests, but also to the interests of others (Phil 2:3–4). Earlier in his letter, Paul warns the Philippians that some men were preaching the gospel to inflate their own self-worth (1:15–17). When discussing those who were not preaching the true gospel, Paul appeals to Christ’s example of humility. In my search for approval, I was trying to fulfill my own needs, but I had little motivation to look out for others’ interests. Feeling well-liked inflated my conceit—it didn’t teach me to elevate others above myself or to sacrifice for them. And being found in human form, he humbled himself by becoming obedient to the point of death, even death on a cross (2:6–8). This call to imitate Christ’s humility can be hard for us to hear. It turns our working model of social class on its head. We like knowing our place—especially if it’s a good one. But the gospel levels the playing field. We are all sinners. And if we are all equally in need of God’s grace, how can we evaluate our worth by comparing ourselves with others? 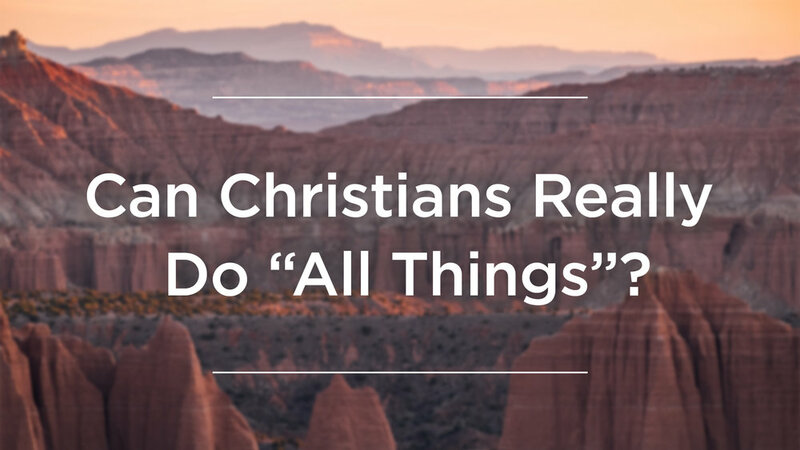 Can Christians Really Do “All Things”? Paul’s bold declaration in Philippians 4:13 is one of the most commonly quoted passages in the New Testament. We find the verse on everything—from clothing to tattoos, and even eye makeup worn by professional athletes. A friend of mine recently quoted this verse to support her belief that God would help her achieve an exercise-related goal. The assumption is that Paul’s statement promises that we can accomplish any task in our lives because Christ will strengthen us. We invoke this verse to comfort ourselves and others in difficult circumstances. While the Bible affirms God’s ability to do anything he pleases (e.g., Matt 19:26; Mark 9:23; compare Job 42:2; Jer 32:17), this is not Paul’s point in Philippians 4:13. If we look at the surrounding context of this passage, we find that Paul’s primary concern is the Philippian church’s financial support of his ministry. Philippians 4:13 is part of a side note to his main point. In 4:10, Paul begins to thank the Philippians for their financial contribution to his ministry; he resumes his thanksgiving in 4:14–20. In between those sections, in 4:11–13, Paul pauses to tell his readers that he was already content before they gave him a single denarius. These verses may seem odd in this context. I used to think Paul was being somewhat impertinent by implying that the Philippians’ support was unappreciated or unnecessary. Or perhaps Paul was downplaying the gift, to avoid creating the impression that the Philippians were his financial patrons (compare 1 Cor 9:3–18; 2 Cor 11:7–11). But both of these explanations fail to explain why Paul lets us see into his heart in these verses. It seems that Paul’s motivation lies elsewhere. We can grasp the meaning of Philippians 4:13 by reading the verse as the conclusion to the digression in 4:11–13. In this brief passage, Paul tells the Philippians that he has figured out the key to being content in the Christian life, though he does not immediately reveal it. He first states that his contentment does not depend on his present situation. He can be content whether he is full or hungry, rich or poor (4:11–12). Earlier in the letter, Paul gives an example of a time during his imprisonment when he was in need (1:12–26). He later describes how the Philippians’ gift “filled” him up; he even speaks of their financial contribution as a “fragrant offering” and a sacrifice to God (4:18 ESV). While Paul recognizes the highs (financial abundance) and lows (imprisonment) in his life, he does not derive his contentment from them. According to Paul, the source of contentment runs much deeper—“I am able to do all things by the one who strengthens me” (4:13). Thus Philippians 4:13 both concludes Paul’s digression and provides the key to Christian contentment: Christ himself. For Paul, to be content is to know Christ and be strengthened by him. He declares, “to live is Christ” and explains that everything else is meaningless in comparison to knowing Christ (1:21; see also 3:7–9). Paul does not press on in his faith because circumstances are favorable or convenient, but because Christ Jesus made him his own (3:12; compare Gal 4:9). 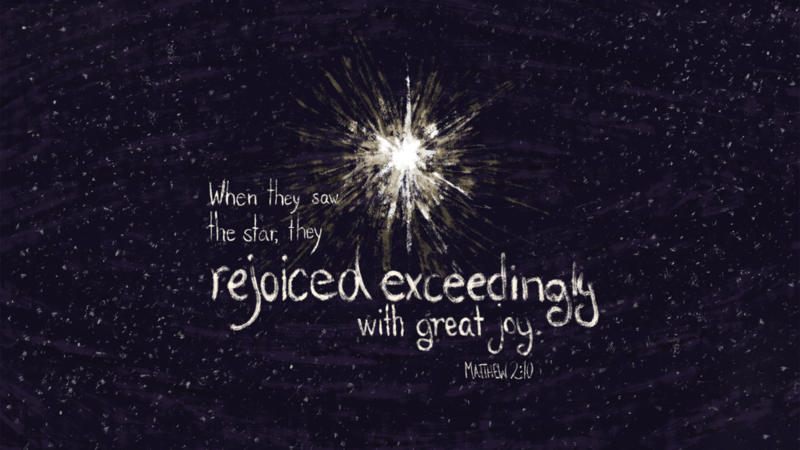 The contentment of knowing Christ brings joy, a theme Paul returns to more than 16 times in this short letter. Contentment in Christ also gives believers a peace that passes all understanding (Phil 4:7). Philippians 4:13 does not promise that God will empower us in everything we wish to accomplish. It assumes that we, like Paul, will experience both success and failure, both prosperity and great need. Even so, the verse applies to us today and has implications for life beyond finances. We can have true contentment in Christ because we need only Christ to be satisfied. If we know this “secret,” we are immune to the ups and downs of life. Philippians 4:13 is not a promise of future success, but one of present sufficiency in Christ. Philippians 4:13 is one of the most powerful verses in the Bible. We should turn to this verse for encouragement when life’s ever-changing circumstances bring stress and uncertainty. Let Paul’s words remind you of the gift of Christ’s presence and strength whether you are in need or abundance. May we learn this truth—just as Paul did (Phil 4:11, 12)—and be empowered by Christ to face all circumstances. Unless otherwise noted, Scripture quotations are from the Lexham English Bible (LEB). The doctrine of inerrancy has long played an important role in American evangelicalism, even giving rise to the “Battle for the Bible” in the 1970s, which resulted in the Chicago Statement on Biblical Inerrancy (CSBI). Even after the CSBI, however, debates have continued regarding what it means for the Bible to be without error, and whether the doctrine accurately reflects what the Bible does. In this book, James Merrick and Stephen M. Garrett gather five contributors for a conversation about inerrancy. Albert Mohler argues that the CSBI articulates well what inerrancy is and the role it should play within evangelicalism. Peter Enns argues that inerrancy does not describe what the Bible does, and the term should be abandoned. Michael F. Bird argues that debates about inerrancy are rooted in historical developments within American evangelicalism, and the term is unnecessary in non-American and non-Western contexts. Kevin J. Vanhoozer argues for keeping the term, which he says means that “the authors speak the truth in all things they affirm (when they make affirmations), and will eventually be seen to have spoken truly (when right readers read rightly)” (207, italics original). John R. Franke argues that the CSBI’S form of inerrancy is not sufficient and argues for an approach that better accounts for the plurality of the biblical writings. Each author responds to the others, and Garrett and Merrick sum up the debate and present ideas for moving forward. This book illustrates just how much more work must be done in crafting a doc-trine of Scripture that captures what the Bible is, but it is a good first step. In Mark’s Gospel, Jesus’ crucifixion and death occur in stages of mockery and humiliation. The story is propelled by those who scorn—the soldiers, the chief priests and scribes, and even those who pass by. Jesus is spat on, stripped of His clothing, and mockingly forced to wear a purple robe with a crown of thorns. Throughout, He silently receives His undue punishment. It’s not until Jesus nears death that Mark slows the narrative: “And at the ninth hour Jesus cried out with a loud voice, ‘Eloi, Eloi, lema sabachthani?’ (which is translated, ‘My God, my God, why have you forsaken me?’)” (Mark 15:34). These words have been spoken before, and this pain and humiliation has previously been told. In Psalm 22, the psalmist cries out to God in the midst of being mocked and scorned by his enemies. The song of lament relates the bitter anguish the psalmist experiences at the hands of enemies. “He trusts Yahweh,” the psalmist’s enemies jeer, “Let him deliver him because he delights in him” (Psa 22:8). The psalmist says he is “poured out like water” in his weakened state (Psa 22:14). His clothing is divided and given out by casting lots (Psa 22:18). The psalm doesn’t end here, though. It ends with the psalmist proclaiming God’s deliverance to all the nations and to future generations: “Descendants will serve him. Regarding the Lord, it will be told to the next generation. They will come and tell his saving deeds to a people yet to be born, that he has done it” (Psa 22:30–31). Jesus’ words reveal Him to be the ultimate sufferer. It wasn’t until His death that He was acknowledged for who He was. The Roman centurion proclaims it: “Truly this man was God’s Son!” (Mark 15:39). The Servant who obediently came to die has delivered us. He has done it. 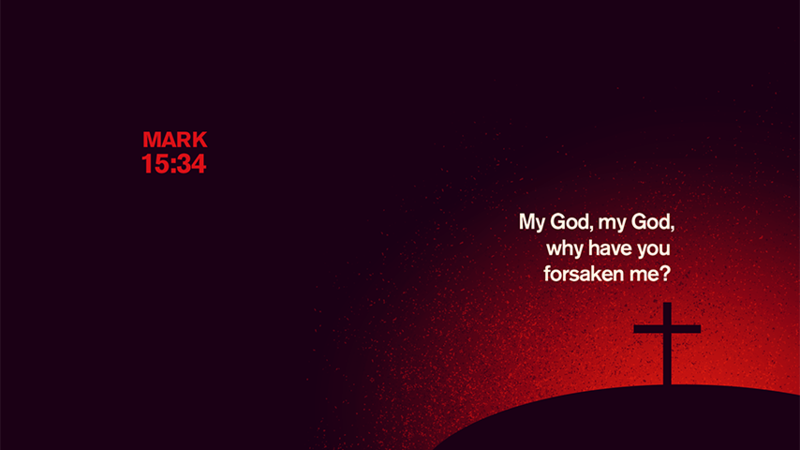 In what ways do you feel forsaken by God? What difference does it make to know that Jesus also cried out in His godforsakenness? Sometimes the Synoptic Gospels appear to differ on a given detail when recounting a story about Jesus. Historians and theologians speak of these variances as the “Synoptic Problem.” Augustine of Hippo went so far as to attempt to harmonize the Gospels, trying to make one unified Gospel from the four canonical ones. In his book Gospel Writing: A Canonical Perspective, Francis Watson offers a refreshing approach to the problem. In nearly 700 pages, Watson explains how the Gospels should be treated as a necessarily interrelated whole. Believing each Gospel is worth studying independently, he details the reception history of each and compares them with the non-canonical gospels of Thomas and Peter, among others. He concludes that Matthew, Mark, Luke and John together comprise “a new text, more than and other than the sum of its parts” (453), and suggests that readers allow historical inquiry, biblical interpretation and theology to work together to understand how “the fourfold gospel is … the culmination and goal of all earlier gospel writing” (615).